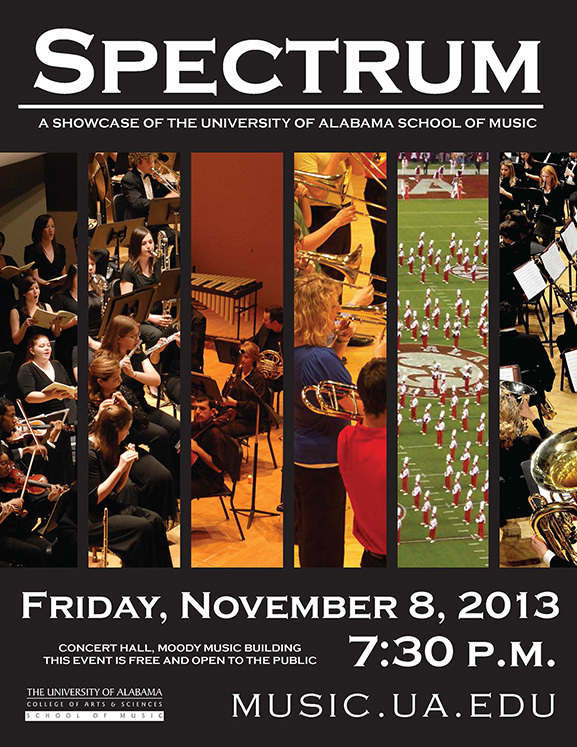 This Friday faculty and students of the School of Music will collaborate in the fall Spectrum concert, a showcase of UA’s best musicians. Expect everything from classical to jazz selections, all highlighting the immense talent of UA music students and faculty. The concert will culminate in an appearance by the entire University of Alabama Million Dollar Band, which will perform the football cheers and songs Crimson Tide fans know and love. The show begins at 7:30 p.m. in the concert hall of Moody Music Building, but the best seats go fast, so come early. Admission is free; dress is casual.